Cat Randall at her Bangor home in 2017. A few years ago Randall started with six chickens and now she has 60. Some of them are laying hens but she also has unique chickens that she keeps as pets. 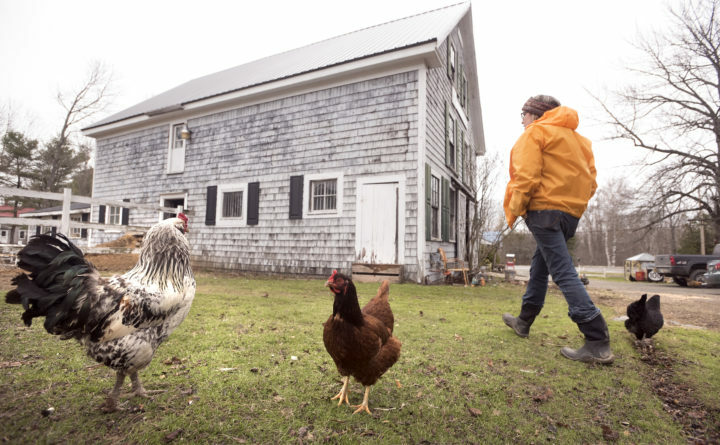 If you live in New Hampshire, you may want to keep a close eye on your chickens. Lawmakers are considering a bill that would make it a crime if your “free ranging” chickens wander onto someone else’s property without permission. Under the measure, owners can be convicted if the birds damage crops or property. Current New Hampshire law already includes wandering “sheep, goats, cattle, horses or swine,” and sponsors of the bill said chickens should be included in the law.